The Naomi Home Vara Glider & Ottoman Set is your gateway to a relaxing experience at home. 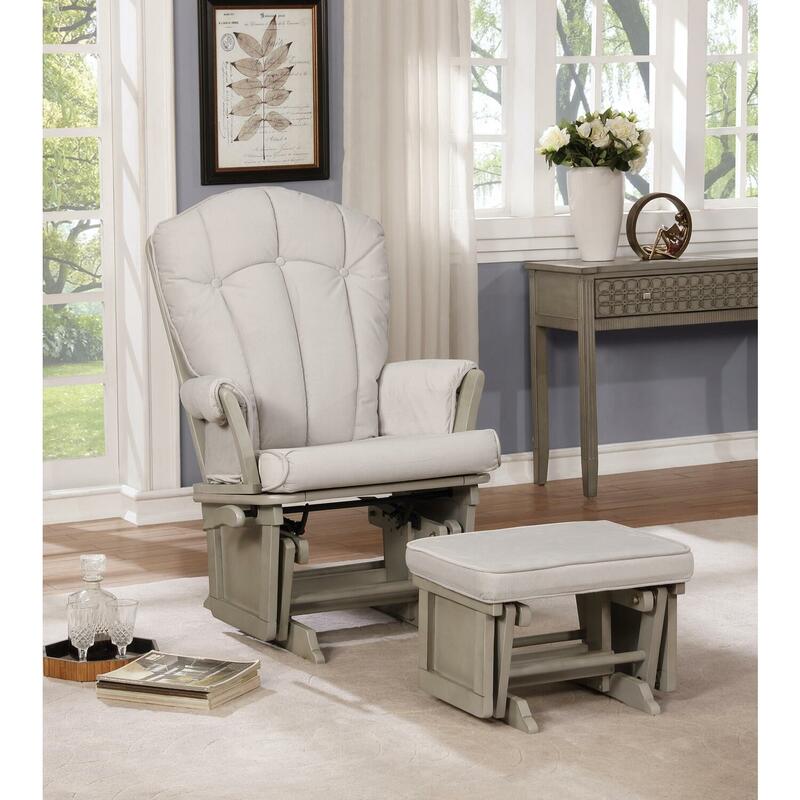 This beautiful premium glider and ottoman set has a classic design and it would be perfectly suitable for your nursery needs. Whether it’s putting your little one to sleep while reading bedtime stories, or simply cradling your baby while you enjoy peaceful moments, this glider and ottoman set would be your perfect companion in helping you relax. This gorgeous glider and ottoman set is very comfortable with plenty of seating room along with padded arms. This rocker glider and ottoman set would be the ideal choice for adding comfort and style to any room in your house. The set has inviting cushions and the rocking motion of the Naomi Home Brisbane Glider & Ottoman Set would be extremely smooth.